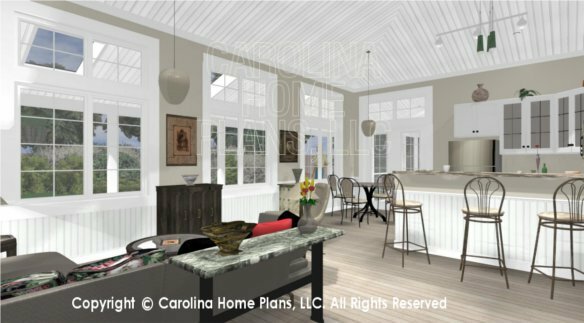 Bright open spaces, cathedral ceilings and tall windows with transoms define this tiny country cottage house plan. 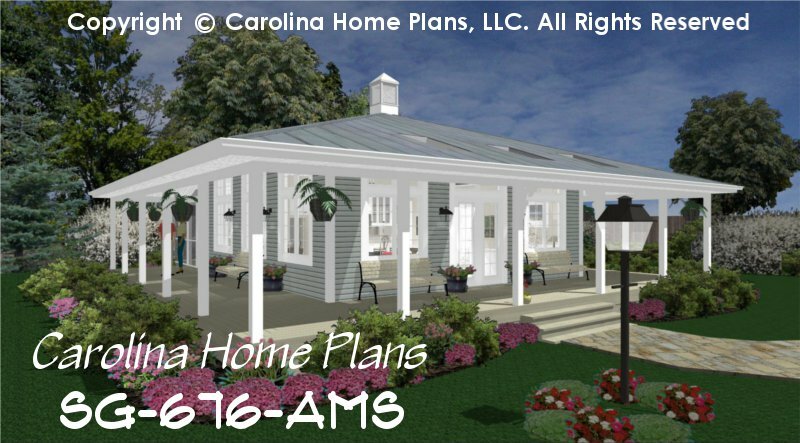 A large sky-lit wrap-around covered porch enhances the function and comfort of this mini, compact floor plan making it seem larger than its actual size. The spacious, open floor plan layout is ideal for entertaining or cozy relaxing moments. The kitchen provides ample cabinet storage, dishwasher and a raised counter lunch bar for casual gatherings. French doors provide access off the dining area to the large screened porch as well as an outdoor storage closet. A partial wall with planters above and French pocket doors lead to a charming bedroom complete with closets, dressing area, stacked washer/dryer and bath (optional bath and laundry layout is included). 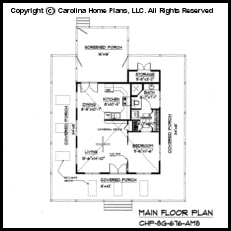 An upper level storage area is accessible by a pull-ladder utilizing the attic space in this small home floor plan. 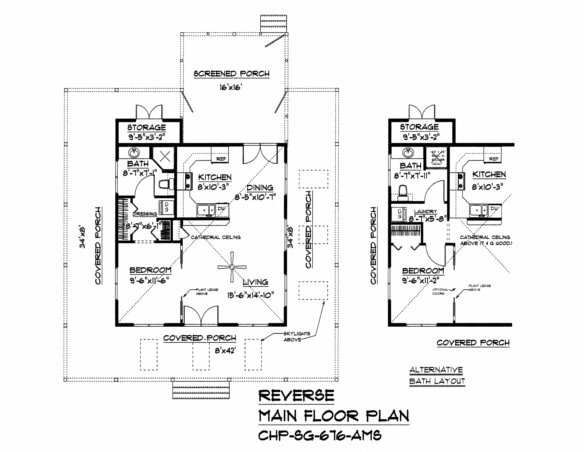 Whether as a beach home, downsizing or single occupant, this compact, efficient tiny floor plan is ideal for any budget or life style. 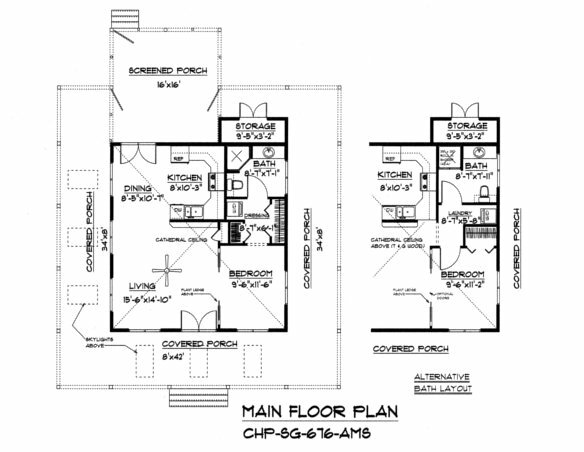 Plans come with crawl space and slab foundation. Available options and pricing: See below.